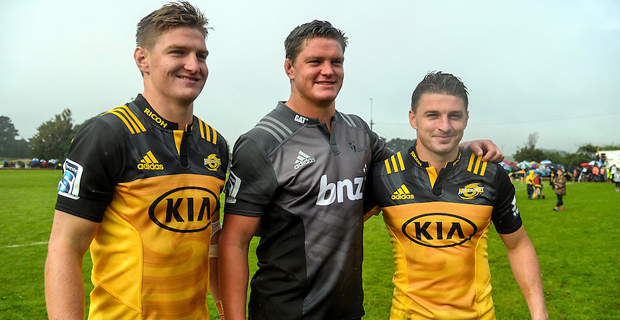 There are seven sets of brothers across five New Zealand Super Rugby squads in the Super Rugby competition this year. There are seven sets of siblings – the Barretts, Beauden and Jordie (Hurricanes), and Scott (Crusaders); Rieko and Akira Ioane (Blues), Anton (Chiefs) and Daniel (Highlanders) Lienert‑Brown; Damian and Marty McKenzie (Chiefs), Sam (Crusaders) and Luke (Highlanders) Whitelock, and twins Jack (Crusaders) and Josh (Blues) Goodhue were listed in the Super Rugby siblings club in 2018 and this year they are joined by Matt and Billy Proctor who both play for the Chiefs. There are also 33 players in those NZ Super Rugby squads who have been named to play their first season of Super rugby. Superxv.com reports that twenty one players have come from the U20 development programme which shows that New Zealand have a strong and steady line of emerging talent coming through. There are also some former New Zealand Super rugby stars returning to the tournament such as Ma’a Nonu (Blues), James Marshall (Hurricanes), Marty Banks (Highlanders) and Whetu Douglas (Crusaders). Nonu is 36-year-old which makes him the oldest of the 190 contracted players while 18-year-old Highlander Folau Fakatava is the youngest. The 2019 Super Rugby season starts on 15th of next month.